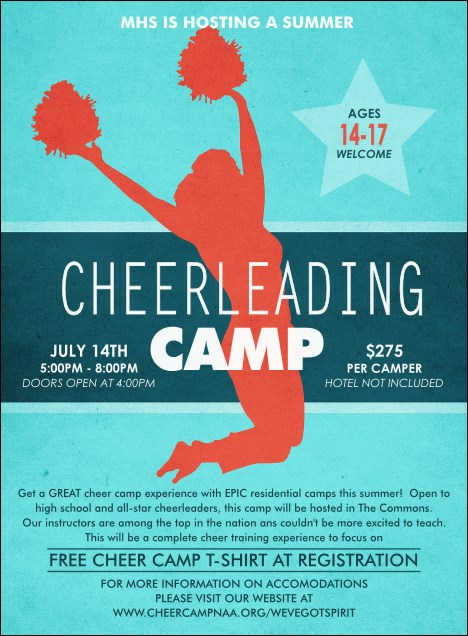 Stretch your promotional reach as far as you can when you send out Cheerleading Jump Invitations before your event. Make your advertising voice heard with bright blue Invitations that feature the image of a jumping cheerleader with pom poms, and twenty lines of unique text for all your event details. TicketPrinting.com helps you lift everyone’s spirit.